This is a very special vintage silver bangle (No 223) designed by Astrid Fog for Georg Jensen the Danish silversmith in the 1960s. 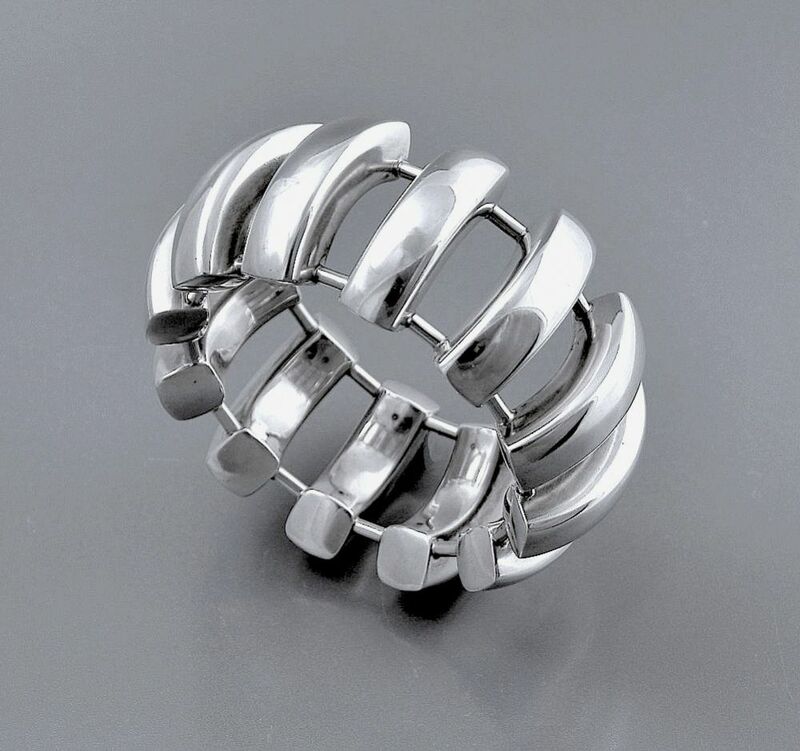 It consists of a series of hollow silver curved segments attached to each other at the top and bottom by silver tubes. Fully marked but no English hallmarks. This bangle was not made in a limited edition.